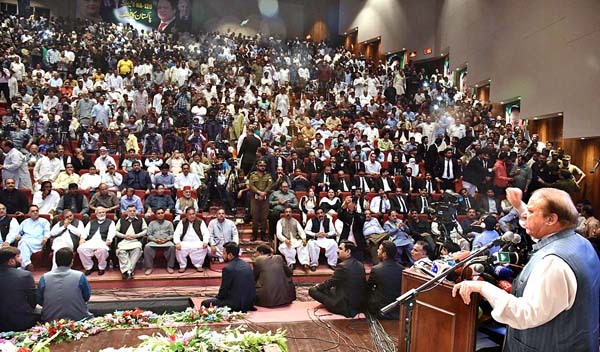 Sharif Wednesday pledged to continue struggle for sanctity of vote. by-polls, which also showed their love for him. get restored the sanctity of vote,” he added. Majid Zahoor, MPA, were also present on the occasion. dollar China Pakistan Economic Corridor (CPEC) to the country. in record time, he added. while no other government in the past had done so. considerably been reduced in the country. Kulsoom Nawaz being treated (in London). where the PML-N once again emerged victorious. to the issues being faced by the people. know about how much electricity was produced in the province.